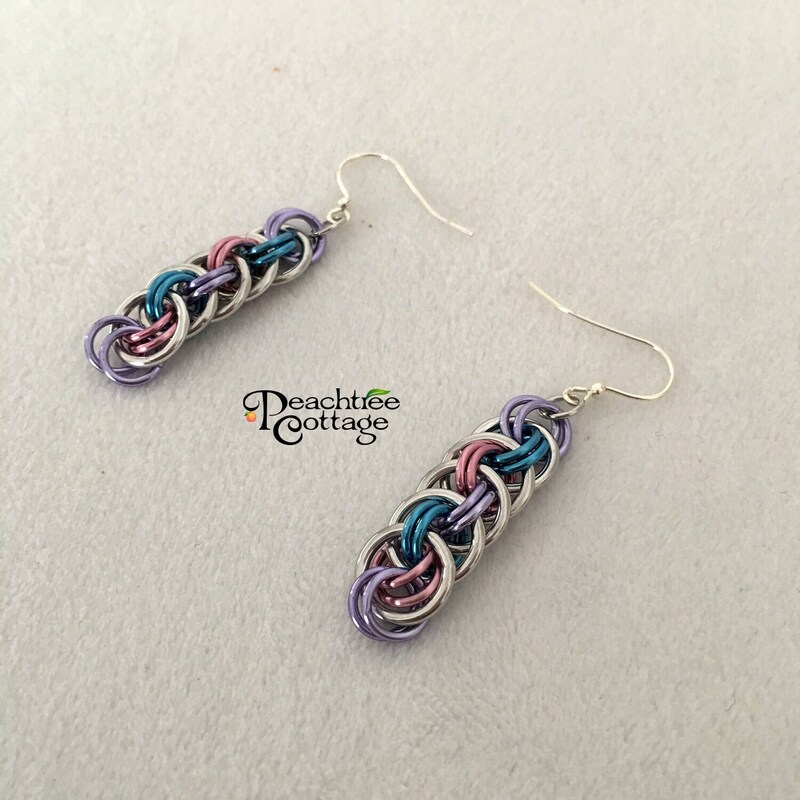 These lovely earrings are made with 18 gauge Bright Aluminium and Color Annodized Aluminium rings woven together in the Viper Basket weave to create chain maille earrings. The Viper Basket Chainmaille Earrings are then finished off with hypo allergenic ear wire hooks. They are light weight, strong and won't tarnish - perfect as an accessory for both day and evening wear!